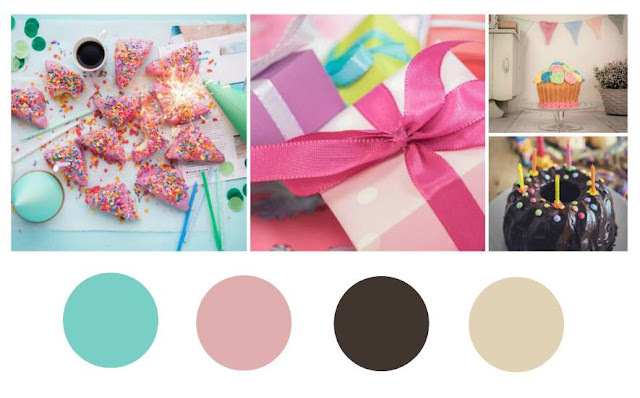 With the new year upon us and the new mood board I immediately saw birthday cards in my future. I need more of them and these colors and stamps are perfect for each other. 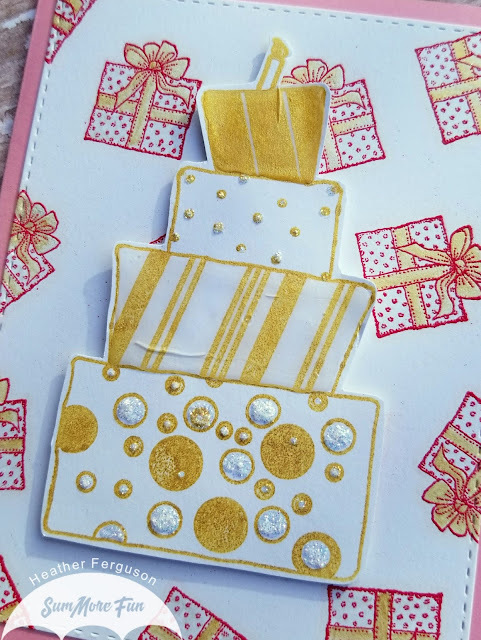 I started by taking a piece of 4 1/4 x 5 1/2" white card stock and stamping the Festively Wrapped Gift (1586-B) in versamark ink then heat embossing with a hot pink embossing powder from my stash. I then took my Spectrum Noir Clear Glitter pen and using Brilliance Galaxy Gold Ink by Tsukineko I "water colored" the bows on each gift. When those were dry I used my Glitter pen to give some shimmer to the packages. Then I cut the panel down with a rectangle die and attached it to an A2 sized pink side fold card base. 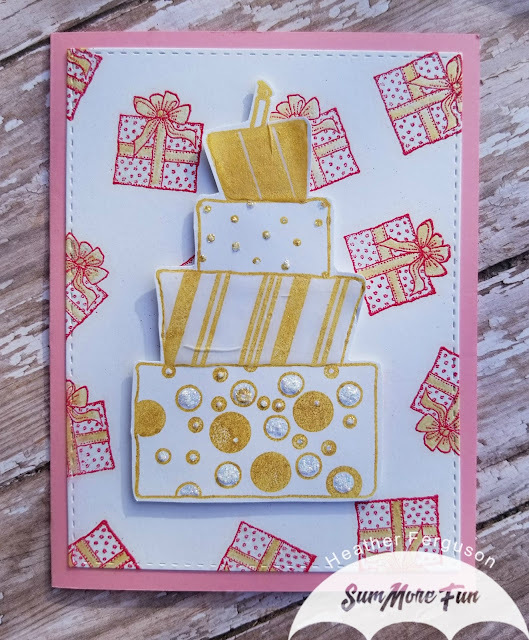 For the Four Layer Cake I stamped it using the Galaxy Gold Ink and then fussy cut the image as I wanted it to pop off the base layer. I attached the cake with a piece of fun foam and then using Nuvo Crystal Drops in Morning Dew, which dries clear, I covered the top tier and the third tier of the cake, then using Diamond Stickles I covered the dots on tier two and filled in the circles on tier four. Pictures do not really do it justice, but it is shiny and glimmery and glittery, which is the best kind of birthday card. Also, the Crystal Drops in a few places did crack, the weather here has gone from hot to cold and that seems to happen only then. 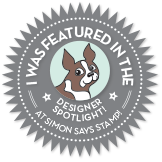 This cake stamp is so fun and quirky and I am having so much fun with it. 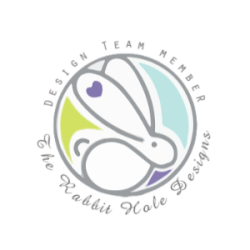 Please do come over to the blog and join our challenge, I would love to see your creations.